The office of New York State Attorney General Eric T. Schneiderman today announced twin settlements regarding false advertising claims made by the world’s two largest daily fantasy sports [DFS] service providers, FanDuel and DraftKings. According to terms of the two settlements, each company will pay $6 million to New York to resolve the remaining counts of the legal actions, which were first brought against the two sites last year. FanDuel and DraftKings had already reached a partial settlement in March with Schneiderman’s office regarding additional allegations. 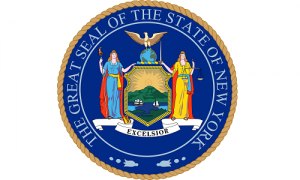 That earlier settlement allowed the two companies to resume offering their services to New York residents in the event the state formally legalized DFS play, which the state’s legislature did this past summer, even as legal action continued on the false-advertising claims. Marketed its contests as harmless fun, while failing to disclose the danger to populations at risk for compulsive gaming and addiction or provide responsible safeguards. A similar statement is expected from FanDuel, and it will be appended into the story when it becomes available. The settlement had been rumored to be near completion in recent days. 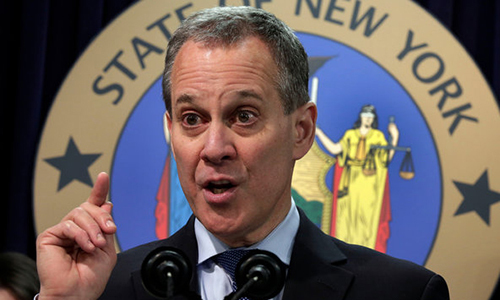 Those rumors proved true, even as Schneiderman’s AG office executed a contingency plan by moving for a extension in the case, in the event filing an amended complaint turned out to be necessary. Almost unaddressed in the settlement are business-world rumblings that the two DFS giants are cash-strapped, and set to merge with each other. Last weekend, a New York Times feature cited unspecified corporate sources within the two firms as saying that a merger might become a necessity, and both companies were claimed to be behind on payments to third party vendors and service providers. Also among a multitude of future scenarios are that attorney’s general offices in other states might view the New York prosecution as incentive to launch their own cases, in the hopes of culling similar settlements from the companies. Some US states have already made legal examinations of the DFS industry, with roughly equal numbers of states declaring the activity either legal or illegal under state gaming laws.